3 Phase Digital Switchboard Meters. Ships in 1 Day. * Input Field selectable: 1/5A, Voltage to: L-L 500V. * Over Limit Protection Relay- 250 VDC, 5A set for V/ I. * Active Energy (kWh) *Reactive Energy *Apparent Energy. * Over Limit Protection Relay- 250 VDC, 5A set for V/ I. or Pulse. Offers simple programming and display of up to 54 electrical measurement parameters via menu-driven user interface on the front panel. Alpha 30 digital metering system benefits from optional pulsed and digital communication outputs. 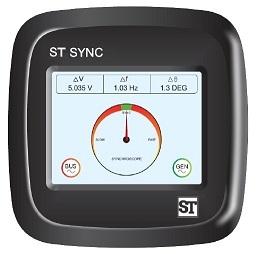 Allows measured parameters to be communicated to Scada building/power measurement system. *Auto Resetting 8 digit 7 segment LED counter. *Fully programmable PT and CT ratios. *Front buttons or RS 485 port. *Phase sequence, phase failure indication. *Remote data reading through Modbus RS485. * On board Meter Memory for last value before interruption. A Touch screen, single multi-functional Alpha 50 digital metering system replaces numerous single function instruments. Provides significant savings for all power monitoring applications. Easily displays 103 parameters on the LCD touch screen.